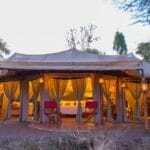 Here are some thrilling special offers and travel deals for your stay at Nasikia Camps and Lodges, valid in 2019 and 2020. Since African safari holidays can be rather expensive, we are presenting you with these curated special offers to make your stay even better! To see the full list of camps and lodges where this special offer is applicable, scroll to the bottom of this page. December 1, 2018 till March 31, 2019 – Oops, this offer has expired!